You know, I’ve been on a bit of a Robin Hood kick lately, so I thought it was about time to tackle the Reynard the Fox stories. And if you think that doesn’t make sense, then hold on a minute and I’ll explain. The thing about being a pop culture buff on the internet is you sometimes find out what movies were going to be before they became what they are. Now, we all know the Disney Robin Hood movie with anthropomorphic animals. However, what few know is that Disney’s Robin Hood started out as many failed attempts at making movies based on popular European animal characters like Chanticleer the Rooster and Reynard the Fox. You see, one of the early animation projects Walt and company considered doing was an adaptation of the French play Chanticleer, which is about a rooster named Chanticleer who is so vain that he actually thinks that his crowing causes the sun to come up. The writers found it hard to make the character sympathetic, so Walt suggested they combine it with another project they had been having trouble with: Reynard the Fox. 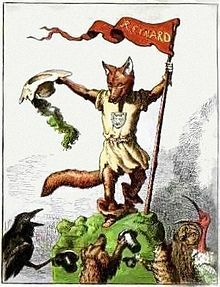 The idea being Reynard would be the villain (notably, the book Reynard the Fox also has a rooster named Chanticleer in it, but that could be just a coincidence). Despite this move, they still had a hard time getting the whole thing to work. The proposed film never did get made or see the light of day. The Chanticleer concept was eventually nicked by Don Bluth and reworked into a film called Rock-a-Doodle. However, bits of design and character eventually leaked their way into the film version of Robin Hood. It’s easy to tell who became who as well. Reynard became Robin Hood. Noble the Lion became Prince John. Isengrim the Wolf became the Sherriff of Nottingham. Grimbart the Badger became Friar Tuck. And Chanticleer the Rooster became Allan a Dale. And it was probably a good idea to scuttle plans for a Reynard the Fox animated film. Because if they thought it was hard to make Chanticleer likable because he was cocky and vain, they would have had a hell of a time with Reynard himself. 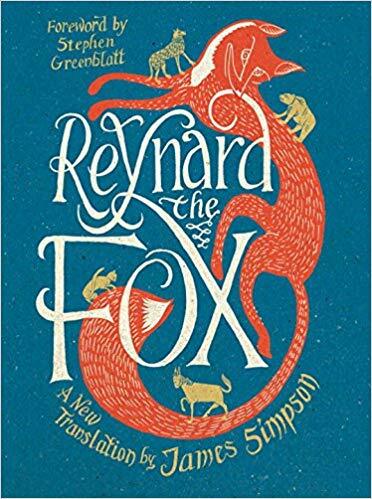 I’ve read Reynard the Fox in a translation by James Simpson. And this book is really something else. The story is extremely violent and aunt-authority and the main character is an unrepentant liar who will do anything to get what he wants. 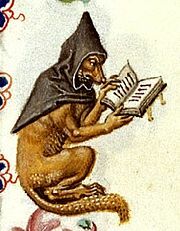 The character of Reynard has been around a long time. Many of the stories were first created by multiple different authors during the Middle Ages. The character himself was thought to have risen out of Alsatian folklore. 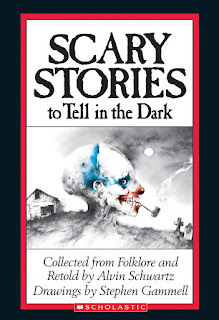 The Reynard stories were extremely popular and rather influential. They spread throughout Dutch, French, German and English lands. The Reynard stories are, first and foremost, satire. Satire of courtly politics in particular. The stories center to a large degree on various animals and their attempts to bring Reynard to the court of King Noble the Lion. And Noble the Lion and his court are largely depicted as selfish, cowardly, foolish, brutish and insincere. The animals who serve the Lion and who similarly act reverent to the bigger animals like the Wolf and Bear are treated as if they are foolish rubes. So, you’d think if these were the so-called villains of our story then the hero would be better and more moral than that, right? In most stories, maybe. But remember how I said Reynard was an unrepentant liar. We should probably add thief and killer to that list too. So many of his adversaries end up killed or maimes (because of Reynard, Cuwaert the Hare gets eaten, Bruin the Bear loses a big chunk of his scalp and Tybert the Cat loses an eye). So, what makes Reynard the hero of this tale other than the fact that he uses brains instead of brawn to solve his problems? Well, it largely seems to be the fact that he’s unambitious. No, really. Most of his primary antagonists are in some way affiliated with King Noble’s court. They have positions of power and authority. Reynard doesn’t have or want those things. His primary motivations are to fill his belly, save his own skin and feed his family. The Introduction to my copy of the book by translator James Simpson describes Reynard the Fox as a sort of reverse of Niccolo Macchiavelli’s The Prince and it’s hard to argue with him. While The Prince was supposed to teach monarchs and leaders how to survive their enemies and subjects “by any means necessary”, Reynard the Fox seems intent on teaching the people how to survive their rulers “by any means necessary”. Even as satire, it’s a decidedly dark outlook. Still, while this may be too dark for many people’s modern tastes. There is something to be learned from the story of Reynard in terms of how to make darkly comedic stories and possibly unlikable characters work. And I can do it with some handy comparisons to popular cartoons. For example, why is all the courtly maneuvering, trickery and death seen as darkly comic rather than the stuff of Shakespearean tragedy? Well, have you noticed how violent old Tom & Jerry and Looney Tunes can be? For some reason, when casting characters as anthropomorphic animals rather than humans, it creates a sort of distance between the reader or viewer and the material. The characters aren’t quite like real animals or like actual humans. They become a sort of stand-in or parody of humanity. Thus we feel a certain freedom to laugh at their misfortunes. 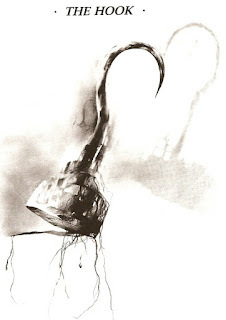 This is something we can see in other trickster and animal traditions as well. Some of the Anansi and Brer Rabbit stories can be pretty brutal too, but because all the characters are animals they come across as funny trickster stories instead. (Note: this approach probably wouldn’t have worked with Disney, because they try too hard to make you care about their characters despite the fact they are sometimes anthropomorphic animals). Now, let’s circle back to the idea of making the unlikeable likeable. You may think this is a rare occurrence, but it’s not. For example, let’s use another character that we really shouldn’t like all that much: Homer Simpson. Kind of the opposite end of the spectrum, really. Whereas Reynard is clever, Homer’s possibly the dumbest sitcom dad in history. He’s also gluttonous, lazy, selfish and prone to getting into hare-brained schemes that seem to have no possibility of working. But to make this oaf likable, you do the same two things that were done with Reynard: 1) You double-down on whatever likable trait he might have, and 2) You make those who complicate his life much worse than him. In Homer’s case, what you double down on his love for and devotion to his wife Marge. As for the other trait, we must never forget that he works for the single most evil man in town C. Montgomery Burns. So, Reynard is much the same in that way. He’s awful in so many ways but root for him because of his unambitious aims of making it through the day and feeding his family (mind you, he’s not completely devoted by modern standards, Reynard does cheat on his wife Ermilyn at least once. But he does still bring home food for the pups). And at least he’s not one of the fawning phonies in Noble’s court. So, there we have it. Reynard the Fox explained in cartoon language. He might have been too dark for Disney, but he was probably just the kind of bitter tonic people needed back during the Middle Ages.